3. Bigger cash donations mean more paperwork. If you donate $250 or more in cash, a cancelled check or credit card statement won’t be sufficient. You’ll need a contemporaneous written acknowledgment from the recipient organization that meets IRS guidelines. Among other things, a contemporaneous written acknowledgment must be received on or before the earlier of the date you file your return for the year in which you made the donation or the due date (including an extension) for filing the return. In addition, it must include a disclosure of whether the charity provided anything in exchange. If it did, the organization must provide a description and good-faith estimate of the exchanged items or service. You can deduct only the difference between the amount donated and the value of the item or service. 4. Noncash donations valued at $250 or more and up to $5,000 require still more. You must get a contemporaneous written acknowledgment plus written evidence that supports the item’s acquisition date, cost and fair market value. The written acknowledgement also must include a description of the item. 5. Noncash donations valued at more than $5,000 are the most complicated. Generally, both a contemporaneous written acknowledgement and a qualified appraisal are required—unless the donation is publicly traded securities. In some cases additional requirements might apply, so be sure to contact us if you’ve made or are planning to make a substantial noncash donation. We can verify the documentation of any type of donation, but contributions of this size are particularly important to document properly. As you probably know, a person must take a Required Minimum Distribution (RMD) from their IRA each year once they reach age 70.5. For many years, there has been a special tax rule that allowed these individuals to contribute the RMD to a charity tax free. The problem in prior years, however, was that this rule was always one of those last minute changes Congress made to the tax code which never allowed time to do any planning. Changes Congress made to tax code in late 2015 have made this charitable contribution provision “permanent”. Now that we have some time to plan, let’s take a look at how this can be a very powerful tax planning tool. 4. Contributed to a 501(c)(3) organization, church or other “non-private foundation” or donor advised fund. Fred has reached age 70.5 and doesn’t really need the RMD to help pay his bills. Fred also likes to make a donation to his church each year. Fred has his house paid off and can no longer itemize his deductions. If Fred does a charitable RMD to his church, he is not paying taxes on a distribution that he could not write off as a charitable contribution. In all likelihood, Fred will also have less of his Social Security benefits be included in taxable income because he has eliminated that income from his AGI for the taxable Social Security equation. Mary is 70.5, but can itemize her deductions due to some sizable medical bills. She also likes to make a contribution to her alma mater each year. By making a charitable RMD, she can make her AGI lower, therefore allowing more of her medical expenses to be deducted against the 7.5% AGI floor on medical deductions. Rick and Diane are both 70.5 and would like to make a sizable donation to their favorite charity. Each has their own IRA account. They would like to donate $100,000 each this year. (The annual limit is $100,000 for a charitable RMD.) If Rick and Diane do not use the charitable RMD rule, they would not be able to deduct the full charitable contribution this year due to the 50% AGI charitable limitation. Also note that in all three of these examples, the taxpayers have kept the RMD off of their federal tax return which means they are not paying Ohio taxes on what otherwise would have been a taxable distribution. If you are approaching, or have reached 70.5, give us a call to see how this powerful tax planning tool can be used to reduce your taxes. 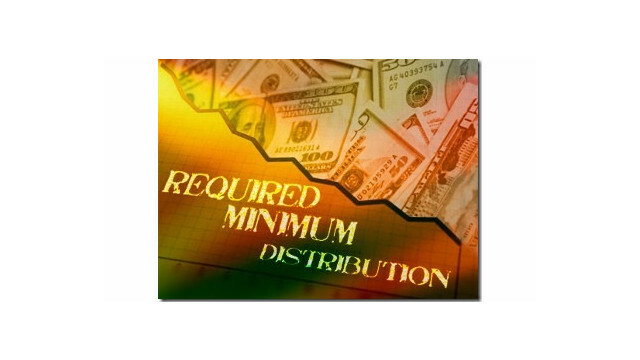 When a person reaches age 70.5, and they have an IRA account, they must start taking Required Minimum Distributions (RMD) annually. Buy life insurance: Life insurance provides a potential tax-free death benefit to heirs, and lets the retiree, through leverage, possibly give those heirs more than they would wind up with by inheriting what remains of the IRA. This option is particularly attractive for those whose beneficiaries are in a higher tax bracket than themselves. Purchase long-term-care insurance: Long- term-care insurance can provide retiree’s a way to protect their assets should they need in-home or assisted nursing care. With the ever-growing cost of assisted living, it will be important for many people to have this coverage. Fund a 529 plan: This can be a great way to leave a legacy for children or grandchildren. If the retiree has an RMD that is more than the IRS annual gifting limit, using 529 plans allows them to gift five times the annual gifting limit in one year. Keep in mind that strategy can only be used once every five years. 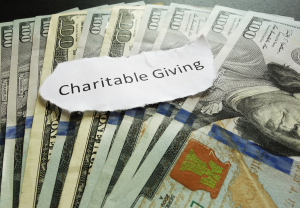 Make a charitable gift using a donor-advised fund: Charitably inclined retirees can use their unwanted RMDs to give money to their favorite charity through a donor-advised fund. A donor-advised fund allows them to make a tax-deductible (up to 50% of adjusted gross income) contribution to the fund. The fund managers then manage the assets and make distributions to your charity of choice. The investments grow tax free, offering the potential to give more over time. Use the RMD to pay the tax due on a Roth conversion: Roth IRAs do not have an RMD requirement. 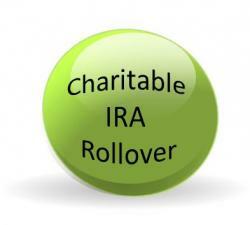 Retirees can use their current unwanted RMD to pay the taxes due upon converting their traditional IRA to a Roth. The amount converted would be subject to ordinary income tax, but once it is converted there would no longer be an RMD requirement. Re-invest: There are worse things you can do than simply to re-invest unneeded RMDs in taxable accounts. If they are invested in individual securities and held for the long term, taxation of gains on those assets (assuming they do indeed gain in value) can be deferred for a long time. Give us a call to see what tax savings ideas might work for you! Go through your house and garage and see what items you have not used in the last two years and donate them to charity. You can clean out space for all the new toys that are coming and receive a tax deduction for it! The IRS requires that these non-cash donations must be in “good condition or better”. Furthermore, you can only deduct the Fair Market Value (FMV) of the items donated. The Salvation Army’s web site provides a guide that you can use to determine the FMV. You can view the guide by going to: http://www.thetaxdude.com/uploads/Salvation_Army_Valuation_Guide_for_Donated_Items.pdfIf the FMV exceeds $500 you will need to complete Form 8283 as part of your tax return. On this form you will need to list: name and address of the donee organization, date of the contribution, description of the items donated, FMV and the original cost of the items donated. If you donate a car, or have non-cash contributions exceeding $5,000 give us a call to discuss the details. We hope Santa is good to you this year while you take as many tax deductions as you can.